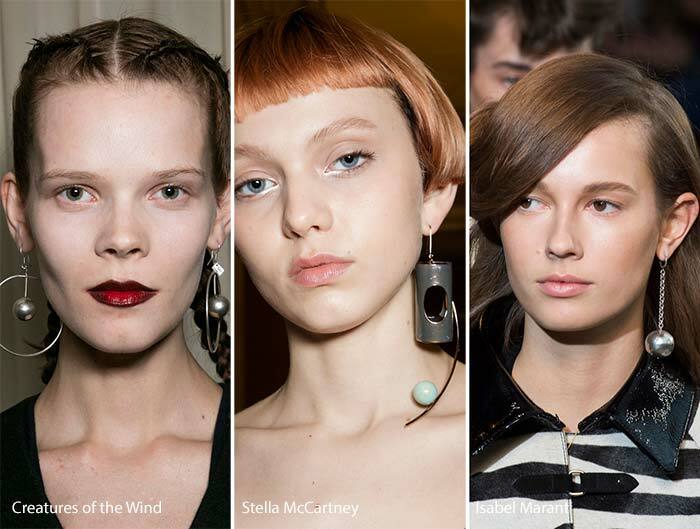 Probably the biggest surprise trend to come out of London Fashion Week 2017 were models wearing just one striking earring. Worn on the left side at the Mary Katrantzou show, earrings were inspired by Ancient Greece and showcased various takes on a striking olive branch design. We have a wide range of statement earrings in store so you can recreate this look without the high designer price tag. Here at The Earring Collection we were extremely happy to see that large, chunky necklaces have taken centre stage again at LFW mainly because we stock a beautiful selection ourselves!. 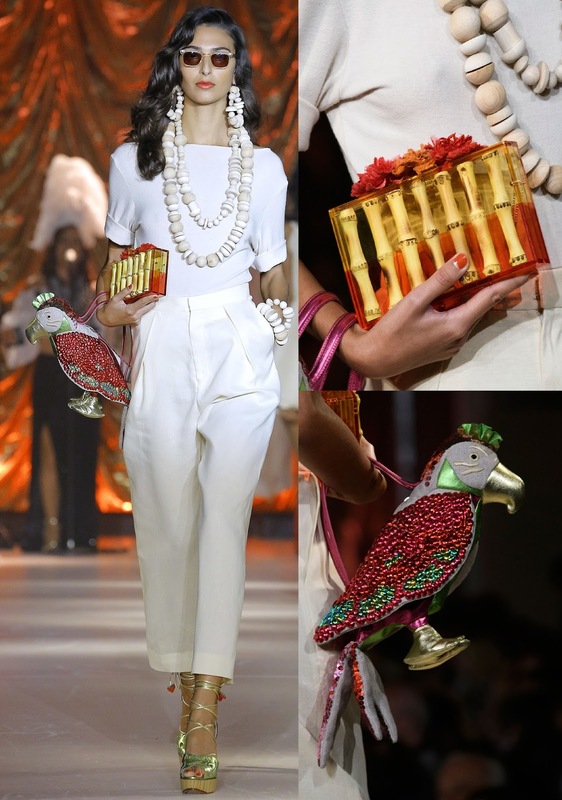 Charlotte Olympia was definitely our favourite designer for this trend, her gorgeous jewellery was made mainly from beads of wood and glass. It was clear her main inspiration came from African culture and used only natural materials to encourage sustainability. Our own range of statement necklaces are hand made using the highest quality of gemstones and findings. This trend is known for going in and out of fashion so this year designers kept the designs big but very simple. 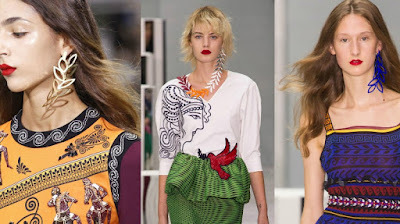 To appeal to both men and women, models of both genders were sent down the catwalk in bold, statement pieces that had both feminine and masculine tones. To keep trend from looking to 'gothic' try wearing just one statement piece such as a pendant, natural shapes will look softer whilst still being striking. Love oxidized silver? When you next visit our boutique store in Cowes, ask to see our stunning range by mother and daughter design duo 'Pim Pim'. This gorgeous look for Summer 2017 needs no introduction, it's all about the bling!. 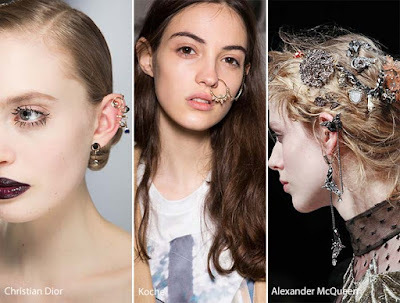 This trend was seen in both silver and gold on the catwalks and designers layered numerous pieces of jewellery onto their models for maximum impact. If you love this trend but aren't brave enough to wear lots of pieces try sticking to just one statement pair of earrings. Our gold vermeil range has pieces that are heavily influenced by traditional Indian jewellery design and culture. CLOSED SUNDAYS AND TUESDAY UNTIL APRIL 2017.